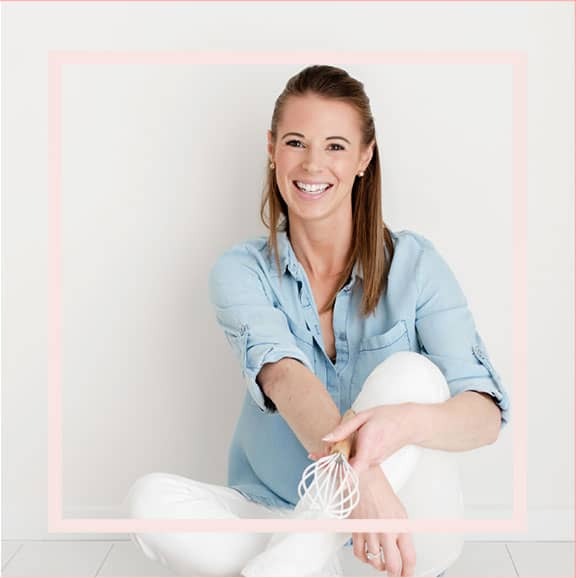 For something a little different, I’m taking a step back from the blog today and the gorgeous Sarah from Love Swah is taking over! If you aren’t familiar with Sarah’s deliciously sweet recipes, you have GOT to check her out!! Her beautiful creations always get me drooling and I have to say that her sweet tooth is a very, very good match for my own. This girl loves her desserts… which of course, makes me adore her even more! 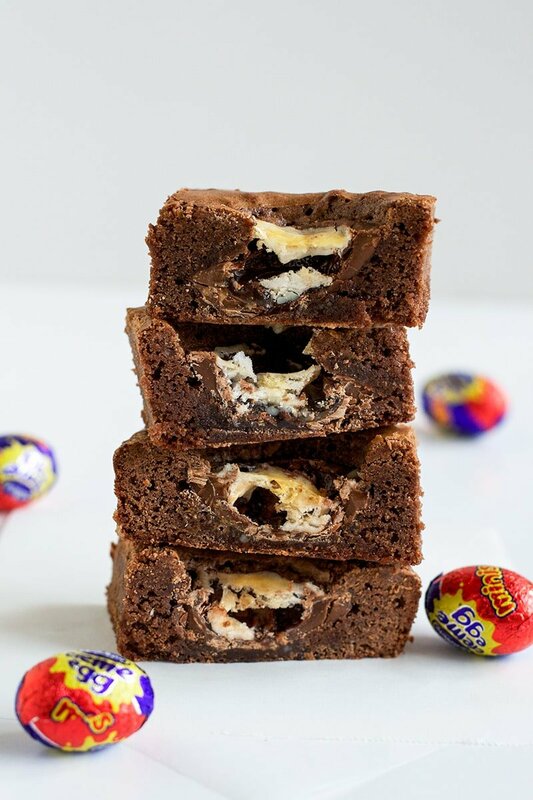 I know you’re just going to love the recipe that Sarah has created especially for Bake Play Smile – Cadbury Crème Egg Brownies – seriously good! Hi guys! Thanks to the lovely Lucy for having me guest post on her blog today. 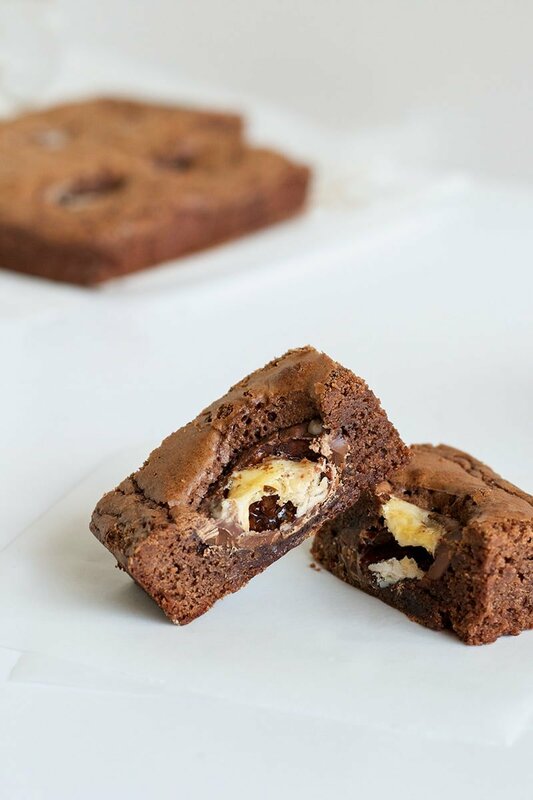 I come bearing delicious treats, in the form of rich and decadent chocolate brownies studded with an Easter essential – Cadbury Creme Eggs. 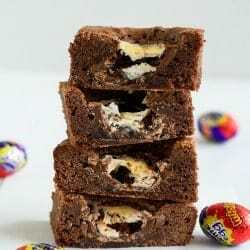 What are Cadbury Creme Eggs? To put it lightly, they’re one of the most talked about easter eggs EVER! You either love them or hate them… there’s no in between! The eggs have a thick chocolate shell with a gooey white and yellow fondant style filling (meant to represent an egg). You can buy mini versions of the eggs in packets, or larger eggs on their own. They’re super sweet and oozy, gooey! … and of course, Cadbury Creme Eggs! The perfect chocolate brownies – flakey on top, rich and fudgy on the inside! A chocolate brownie should have a crispy flakey top, but a dense and rich filling. 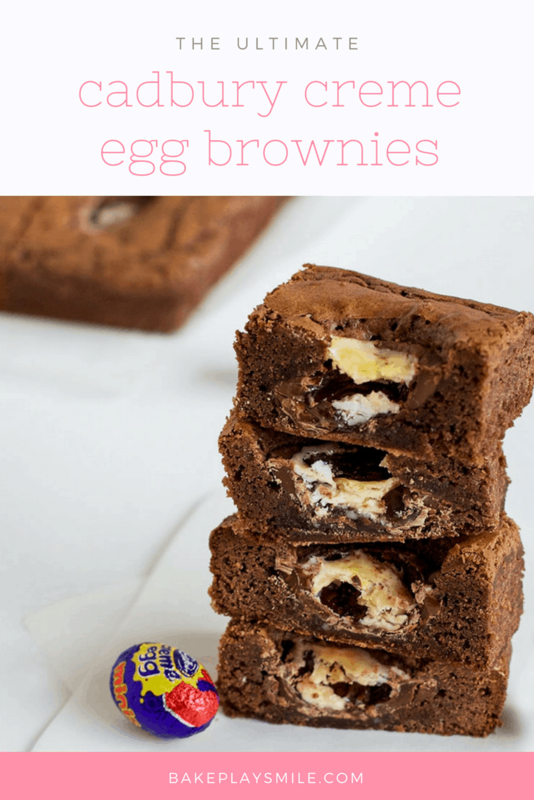 This Cadbury creme egg brownie recipe will give you those perfect brownies… every single time! The cooking brownies, it’s important not to overcook them. Once they’ve got that lovely flakey top and come out with a few sticky crumbs on them, they’re ready. 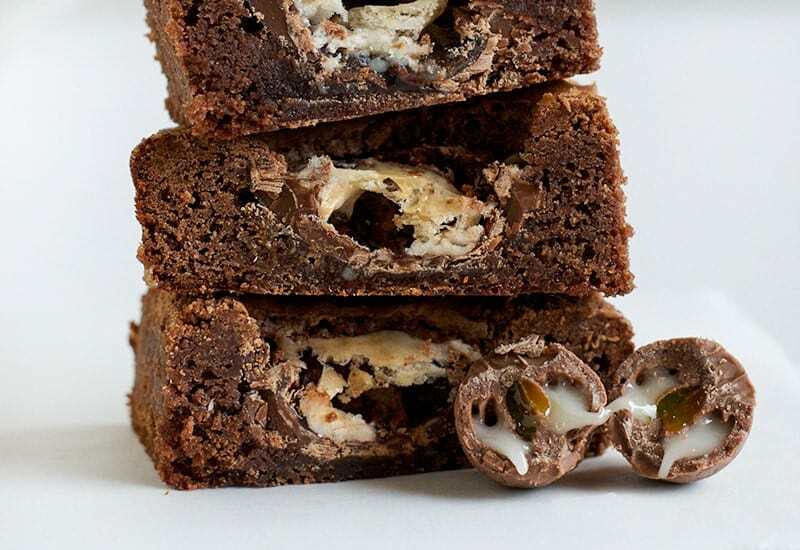 The contrast of the crunchy caramel and oozy creme eggs filling pairs perfectly with the rich and fudgy dark chocolate brownies. Absolutely DELICIOUS! 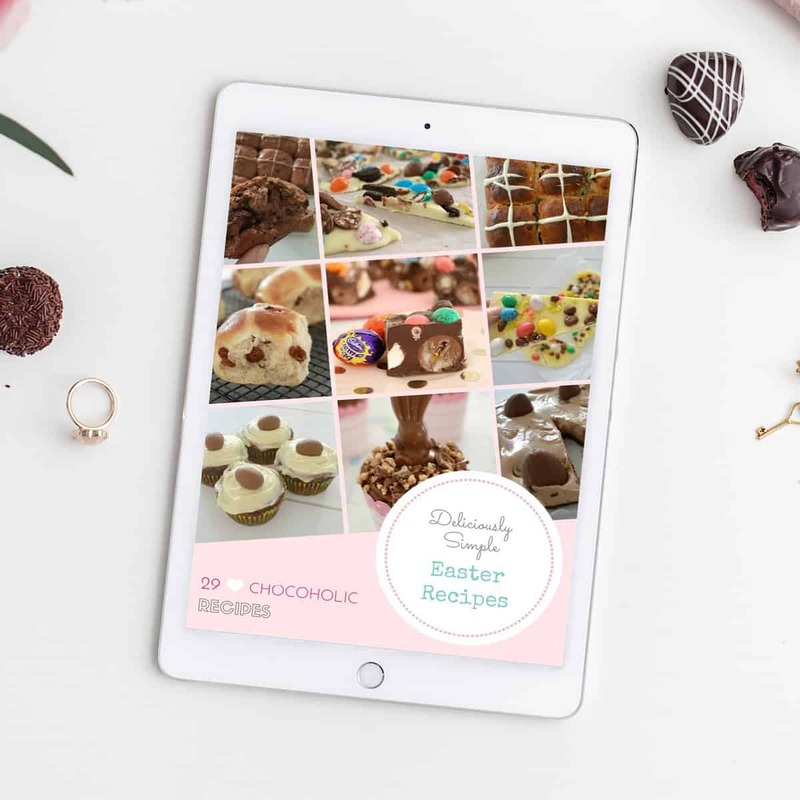 Don’t forget to pop over to Sarah’s blog and check out all of her amazing recipes! Preheat oven to 180°C. Grease and line a 20cm square baking tin with baking paper and set aside. Melt the butter and chocolate together in the microwave in short bursts on medium (50% power). When it’s ready the top should be dried to a pale brown but the middle still dark and slightly gooey. Once the brownies are cooled, slice into small pieces. Place the butter and chocolate into the Thermomix bowl. Melt for 3-4 minutes, 50 degrees, Speed 2. Allow to cool slightly. Add the eggs, sugar and vanilla extract and mix for 10 seconds, Speed 4. Add the flour and salt and mix for 10 seconds, Speed 4. Scrape down the sides of the bowl and mix for a further 5 seconds. When the brownie is ready the top should be dried to a pale brown but the middle still dark and slightly gooey. Drooling and it’s not even 7am! Thats the best chocolatey time of day.. right!? 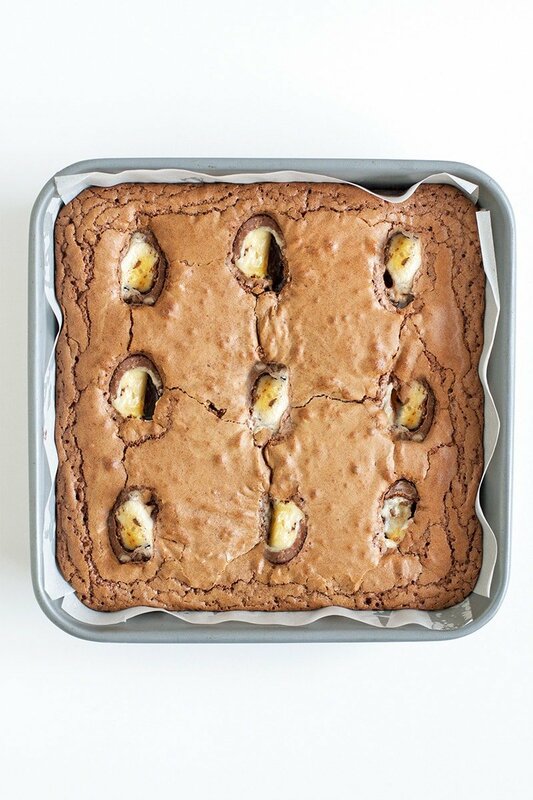 This looks gorgeous, you can’t go wrong adding Easter eggs to brownies! I couldn’t agree more – Sarah is very clever!